Long accustomed to dealing with bad news "garbage" bears that become hooked on improperly stored trash at homes and businesses around Lake Tahoe, Nevada wildlife officials say they're increasingly responding to a new kind of troublemaker they've started calling "drought" bears. "We're calling a lot of these 'drought' bears," Nevada Department of Wildlife spokesman Chris Healy told The Associated Press. "These are bears that want to be wild, they are doing their best to be wild and trying to stay up in the hills, but they just don't have any food." Many of the bears can be relocated and released to the wild, including a 3-year-old female trapped on Tahoe's east shore near Glenbrook early Friday. 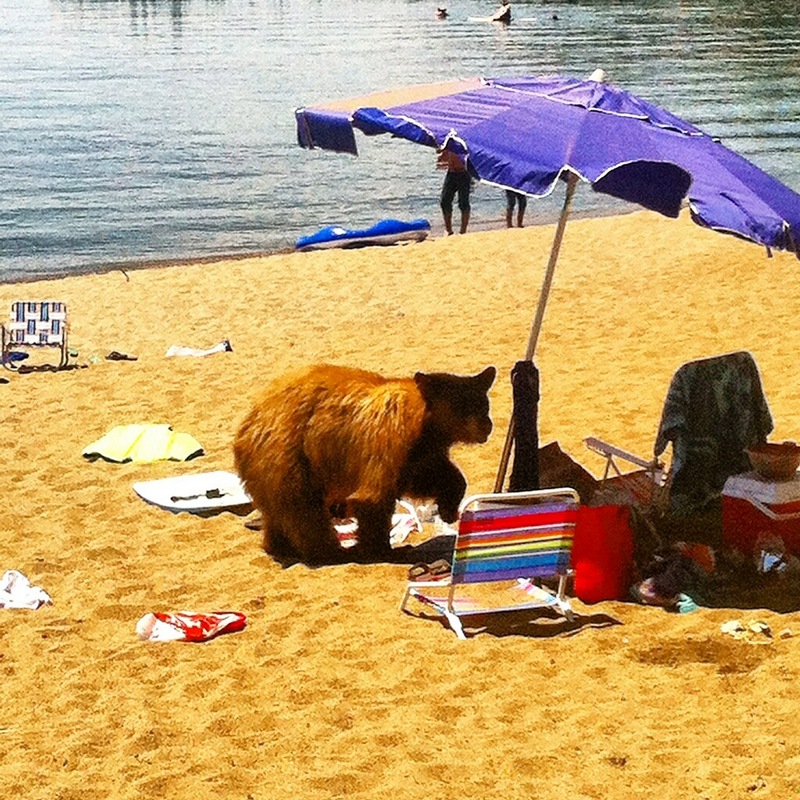 The beach bear, a 3-year-old male, "was very bold in its behavior and not showing any fear of humans at all," Healy said. "It was approaching people on an occupied beach and actually opened a backpack and took food," he said. "He had become a dangerous bear because of the lure of human trash." Healy said it's a perfect example of how bears that typically don't cause any trouble in the wild will resort to raiding garbage cans when extended drought provides no alternative. "We are doing all we can to give them a break. Our goal is to keep them alive and wild," he said. "NDOW is putting down way too many bears," Ann Bryant, founder of the nonprofit organization The Bear League, told the Reno Gazette-Journal. "We don't agree killing is the answer. It takes away the respect for bears and that is what people need to live with them."